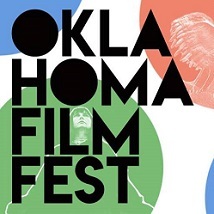 Oklahoma Film Society is putting on their first film festival and it’s completely FREE! This year-end celebration of Oklahoma filmmakers will take place on December 13th through 15th across three venues in Oklahoma City. Come watch award-winning films from local filmmakers and mingle with film lovers and the creators after the screenings with film networking events! We will be screening Laron Chapman’s award-winning debut feature film, You People, Mickey Reese’s new award-winning film Strike, Dear Mistress, and Cure His Heart, deadCenter darling The Jurassic Games from Ryan Bellgardt, anthology film MONO, directed by five local filmmakers and Kyle Roberts’ short film The Grave. The Grave – 7:30 p.m.
Strike, Dear Mistress, and Cure His Heart – 8 p.m. The Jurassic Games – 7:30 p.m.
You People – 7:30 p.m.